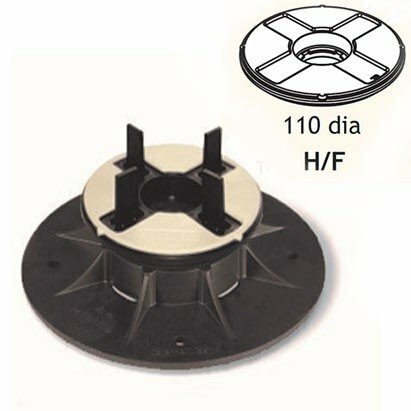 The polypropylene paving and decking support pedestals come with self-leveling heads with tabs. If you do not want to have to break off the tabs, which can be a bit time consuming, simply purchase these flat heads and exchange the standard tabbed head with these ones. The polypropylene paving and decking support pedestals come with self-leveling heads with tabs. If you do not want to have to break off the tabs, which can be a bit time consuming, simply purchase these flat heads and exchange the standard tabbed head with these ones.